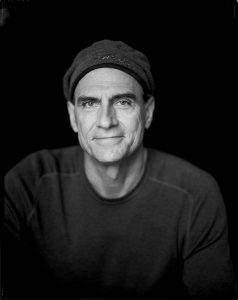 James Taylor has never been quite sure about stardom. His seven albums, if anything, telling an ongoing tale of the struggle for maturity in spite of it. Now 28 and feeling the strong pull of family life with wife Carly Simon and their 2-year-old daughter Sarah Maria, Taylor is seriously wondering how active a rock ‘n roll life he really wants. The life I used to lead was a little too frantic. I guess I always saw myself this way. Just as his writing shows, Taylor is a deeply introspective man. In conversation, he sifts his thoughts carefully before speaking. Yet, as is the ironic case with most interview-shy artists, he has made his life and open book of songs. Incidents like the restaurant confrontation are not uncommon. His fans feel as if they already know him intimately and, basically, they’re right. With psychedelia down to its last dying embers, those early lullabies (and, in particular, his classic “Sweet baby James “album) were a welcome return to romantic innocence. His first single, “fire and rain, “managed to move not only the usual pop audience, but their parents as well. Rarely has an artist had as much early media attention is Taylor did and 70. He was 23, had made only two albums, and was on the cover of Time and Rolling Stone. Taylor fled to England to try his hand in the folk houses there. Another brick wall. Without working papers, there was no chance of any work outside of street-corner busking. In desperation, Taylor brought 45 minutes of time in a tiny Soho studio to record some of his songs. The tape was soundly rejected by countless record executives before it finally fell into the hands of Peter Asher, then head of talent acquisition for the Beatles’ Apple records. Asher was impressed enough to play the songs for Paul McCartney, who gave the final go-ahead for Taylor to become the first artist signed Apple. While it was well reviewed, if some- what overarranged, “James Taylor” sold only a few copies. Allen Klein, the former president of Apple, dropped him from the label. In a “rough state of mind and in bad health, “Taylor returned to America. Asher followed suit shortly thereafter, leaving Apple and his life in London to manage and produce Taylor full-time. Their first album under the new arrangement was sweet baby James, A comparatively stark work. Made for a remarkably inexpensive $8000, the album sold more than 3 million copies and ushered in a renaissance of the solo artist. “A pleasant surprise, “smiles Taylor. Not unlike the case of his close friend Carole King and tapestry, the success and expectations of Sweet baby James cast a shadow over his next three albums. Not until Gorilla, which spawned the hits “How sweet it is and Mexico, did Taylor fully outgrow his lonesome picker image. Produced by Russ titleman and Lenny Waronker, it was a sophisticated and fully realized effort. Of all his albums, including the newest “In the Pocket,” “Gorilla” Remains the only one Taylor can listen to. “I don’t know why that’s the way it is, “he says, “I just think it’s a nice album. Not that the other ones aren’t, but… you know what I mean. “The reason for Taylor’s creative and personal longevity, he will tell you without hesitation, is his wife. “I think actually that she saved my life, but that’s hypothetical, of course. If she didn’t actually pull me from the teeth of disaster, she certainly turned my life around to the extent that I won’t die in 10 years, where I might have before. The reference, of course, is to Taylor’s brief flirtations with heroin. It’s passed and it’s gone and it was just a big waste of time, “he states. “Deadhead miles without a load. It’s a pity that people consider it sensational. Drugs are the least sensational thing there is. If people would stop looking at it as romantic, then maybe fewer kids would get into it. Drug culture is definitely stupidity. Besides, if you’ve got a family and your blasted all the time, you lose them. Hbd to my fellow tarheel! Love james! Sweet Baby James was one of those albums that was playing everywhere. Happy Birthday James.